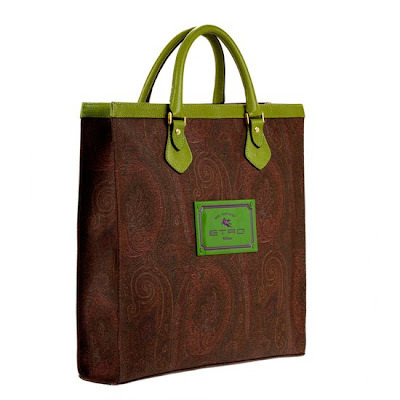 This fabulous Rose tote is part of Italian Fashion House Etro's 40th Anniversary Collection. It was fleetingly available at ideeli, but sadly sold out fast. The paisley print leather bag with neon green or fuchsia pink accents was really quite restrained for the company which is better known for its quirky accessories and over the top style.